You’ve heard about Salicylic Acid and Benzoyl Peroxide for acne prevention but what exactly are they? Salicylic Acid is a common ingredient in many acne-prevention products breaks up the cells, which stick together in the inner lining of the skin pore and declogging blackheads and whiteheads. It is best for black heads and large inflamed spots on all skin types, especially those prone to oil and redness. Unlike many acne treatments that can make skin a bit red and inflamed, salicylic acid has a more soothing, calming effect on skin. Benzoyl Peroxide is effective against all kinds of acne (blackheads, whiteheads, and red inflamed pimples) and kills bacteria rather than simply slowing down the growth of the acne lesion. Benzoyl Peroide works very quickly, improving acne as early as five days after starting treatment. 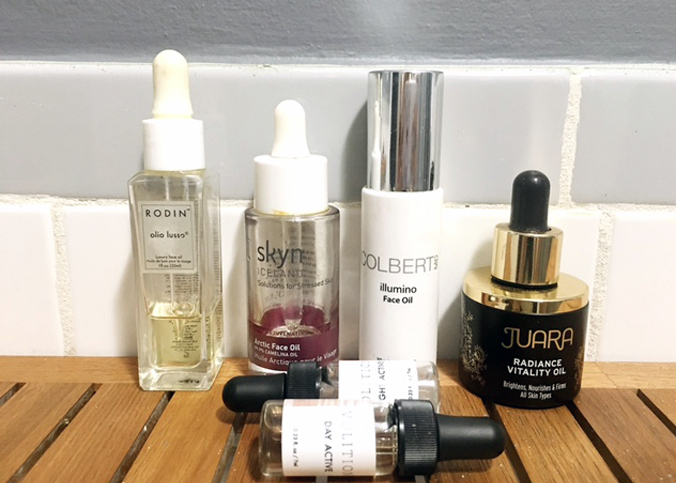 Some of my favorite salicylic acid products include Image Skincare’s Clarifying Pads as well as Aesop Control Anti-Blemish Gel. Clear Cell pads remove impurities and excess oil using a blend of antioxidants and calming ingredients reduce acneic inflammation and are ideal for on-the-go cleansing. When I have a full night to dedicate to treating a stubborn spot, I use Aesop Control that’s a transparent gel that contains three highly effective ingredients: Niacinamide, Sodium Ascorbyl Phosphate & Salicylic Acid blended with six steam-distilled botanical extracts for anti-bacterial & anti-inflammatory properties. 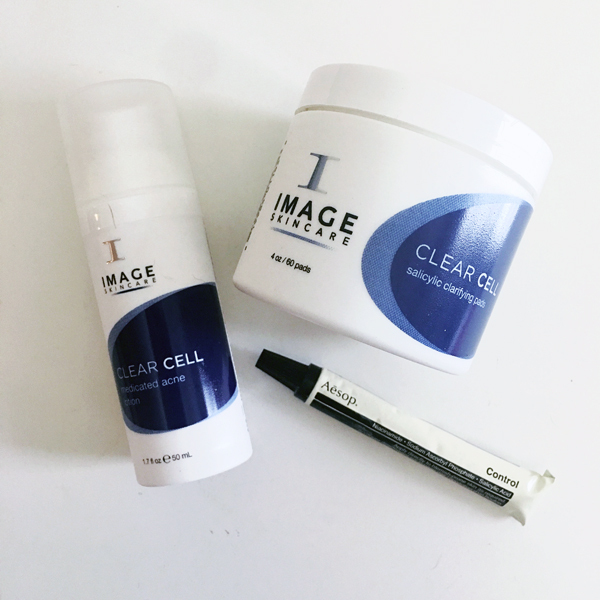 For Benzoyl Peroxide, I turn to Image Skincare’s Medicated Acne Lotion that can be used all-over your face or on specific spots to kill bacteria, while Chamomile and Tea Tree soothe and heal sore acne.